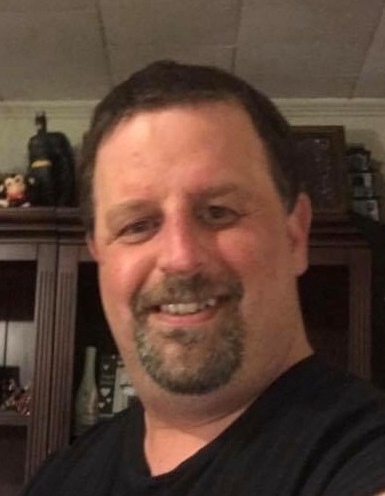 Guy Ciccolo of Brockton passed unexpectedly October 28, 2018 in his home at the age of 49. Loving husband of the late Dawn Marie Ciccolo; Loving son of Frances Rose of Easton; Loving brother of Lee Ciccolo & Donna Martin; Loving brother in law of Brian Martin and Theresa Smarrella; Loving uncle of Courtney Camacho, Jocelyn Smarrella, Kyle Terrill, and Alex Smarrella; Also, survived by close cousins Brian Skerry, Joy and Ed Paine, David and Cecelia Skerry and best friends The Stec Family and Joanna Cruz . Guy had a great sense of humor and personality, and recently became an Ordained Minister. Visitation will be held at the Quealy & Son Funeral Home 116 Adams Street, Abington Saturday November 10 from 11am to 1pm.